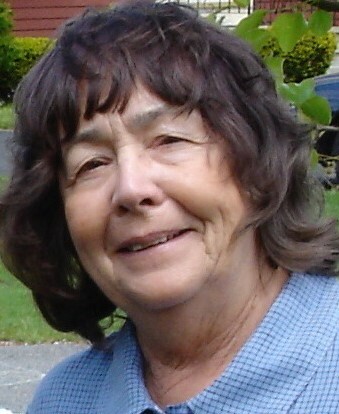 Sandra N. (Nolan) Jervah, 78, of Georgetown, MA and a longtime resident of the Rowley area, died on Tuesday, October 2, 2018 at Holy Family Hospital in Haverhill, with her sons at her bedside. Born on May 5, 1940 in Topsfield, MA, she was the daughter of the late James J. and Willie Mae (Laird) Nolan. A graduate of Topsfield High School, Sandra worked at Draper Labs in Boston, as a real estate agent for much of her life. However, Sandra’s passion and lifelong calling was as a self-employed caregiver for over 25 years. She loved her clients dearly and was a tender companion for many sick and elderly in the area. In her spare time she relished the time she spent with her friends; going out to dinner and drives by the seashore. She is survived by her twin brother, James “Scott” Nolan and his wife Barbara of Eagle Point, OR. Her two sons, Jeffrey Jervah and his wife, Karen of Raleigh, NC and Todd Jervah and his wife, Kelly of Newbury, MA; four grandchildren, Kyle, Andrew, Jackson and Lauren Jervah. Calling hours will be held on Sunday, October 7, 2018 from 1:00 – 3:00 p.m. at the F.S. Roberts & Son Funeral Home, 14 Independent Street in Rowley. Her Funeral Service will follow calling hours beginning 3:00 p.m. Relatives and friends are cordially invited to attend. Burial will be private. Expressions of sympathy may be made in Sandra’s memory to Solace for Stephanie, Inc., PO Box 303, Rowley, MA 01969.